I've worked in digital for around a decade. First I was a designer, then a developer, and finally, a project manager. Throughout this time, I've picked up a few tactics and tips that I would very much like to share. Why? Not only because they work, but because they work really well. I don't claim that you'll become a project god when following this advice. That being said, it helps. With the tips below, you'll get a much firmer grip on how to handle your role and deliver great projects. What I mean by this is: Know your role and stick to it. 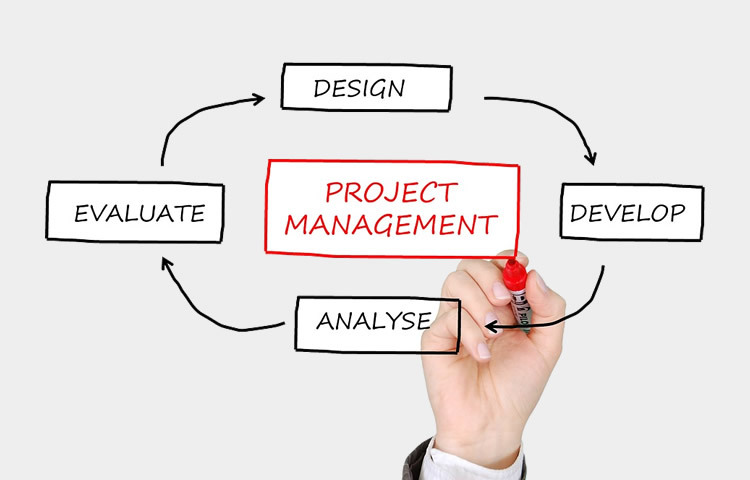 A project manager defines and manages scope, cost, and time. That's all. You should focus on those three elements, and not get distracted at all. The only time you should not be thinking about scope, cost, and time is if your office is literally on fire. Stick to your area as much as you can. You won't be respected if you get out of your domain and start to make decisions that don't pertain to you. If you notice you're about to make a call that goes beyond your subject expertise or authority, stop yourself. It's true, you'll benefit in the short-term, but it's bad in the long run. Everyone has their own preference and opinions on how the final product should look like or operate, but you'll be accountable for your decisions, even the ones you're not qualified to make. If you're a PM, be exactly a PM, and don't play developer, designer, or any other role. Here are some good tips from AndersElite. As a project manager, you should always have the most accurate and latest information at your fingertips. If something appears out of context, vague in meaning or conflicting, double check it. Since your job is to handle the project, you should understand it deeply - especially when it comes to information that you'll use to make critical decisions later on. A project will never go strictly according to plan - and a plan will never precisely define a project. Plans are simply road maps to guide the team along the way. Be prepared to change direction, then. As a project manager, you need to be flexible. Keep planning your team's way out of trouble, and respond to new information with a positive attitude. While changing direction can mean you'll lose your momentum and get temporarily frustrated, it's a good thing, because it'll save you from failure in the long run. When pointing out a problem, it's best to offer people solutions. Usually, it's a good idea to have two or three simple choices that they can choose between. Ideally, you want to make the distinction between options very clear, so that they'll be able to use the contrast to make a confident decision quickly. When you deliver early, you will always look good. On the other hand, when you deliver late, you will always look bad. These are universal truths, and it doesn't really matter if it's your fault or not. Thus, it's better to err on the safe side. The same thing is true about cost estimates - everyone loves it when a project comes under budget, but if it goes over, it'll be a headache to all involved. A clear mandate is essential, and so is understanding it. If you don't know why you're doing something, you cannot articulate it to anybody else working on it. As a minimum, people should understand the mandate, it's objectives, and the results and benefits you're aiming for.